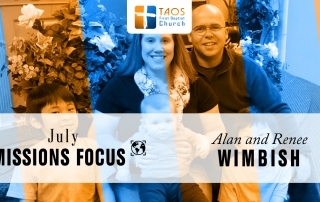 Would you join us in prayer and financial support for Paul and Lena Miles? 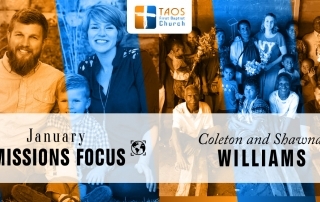 Meet Coleton and Shawna Williams, our missionary focus for January, 2017. 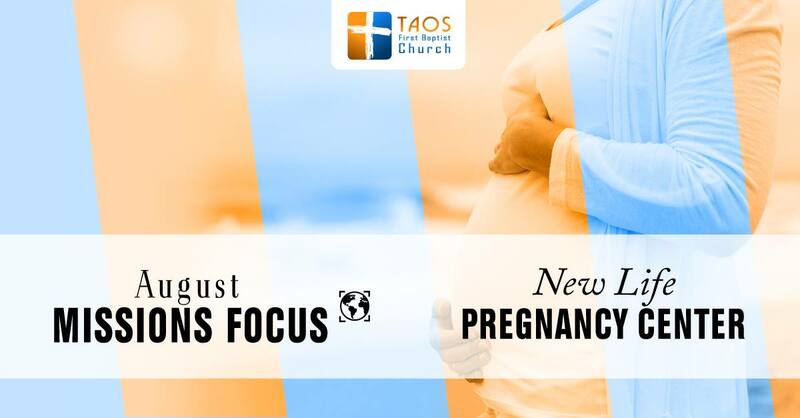 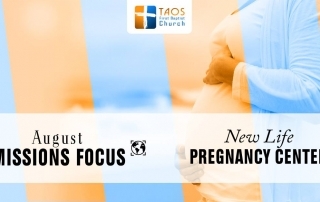 Taos FBC’s missions focus for the month of August will be supporting the work of the New Life Pregnancy Center here in Taos. New Life is a small, non-profit organization committed to providing services and alternatives for those in our community who face an unplanned or unwanted pregnancy. 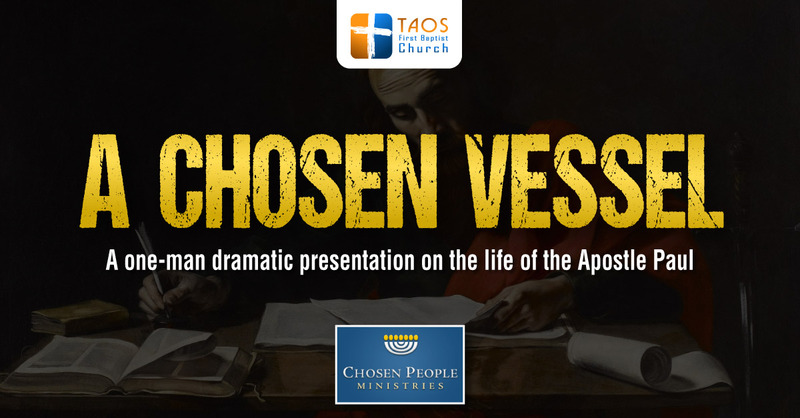 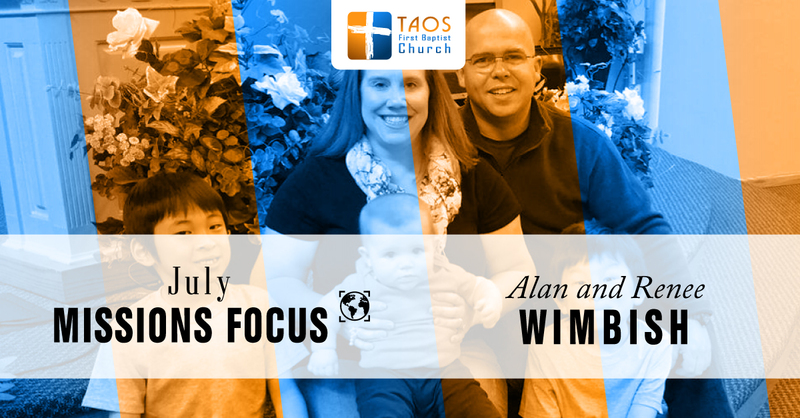 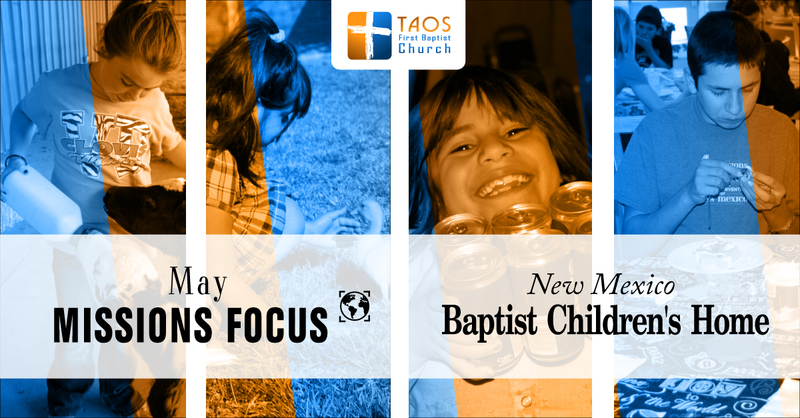 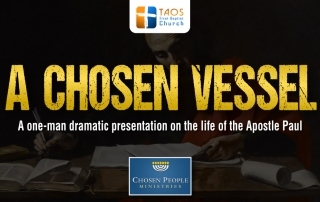 Each month, Taos First Baptist Church has a missions focus. 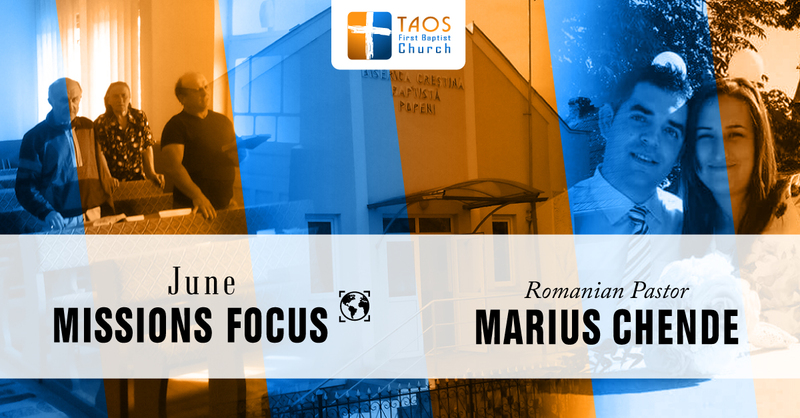 When you give a weekly or monthly gift to missions, it goes to support these worthy projects and missionaries. 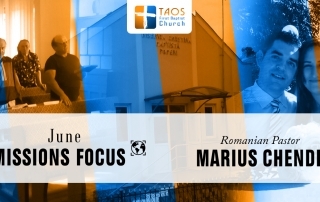 During the month of June, we are supporting Pastor Marius Chende of Romania. 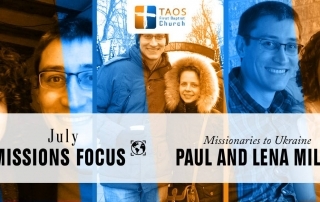 Taos First Baptist is a missions-minded congregation. 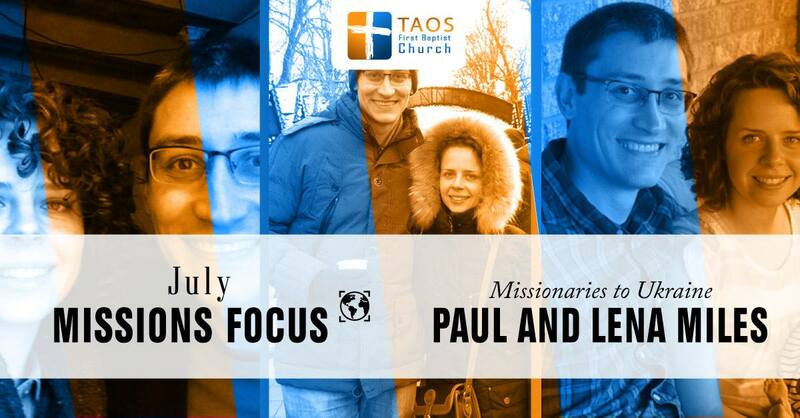 The TFBC monthly missions emphasis gives you an opportunity to participate in direct missions with missionaries with whom we have personal connections. 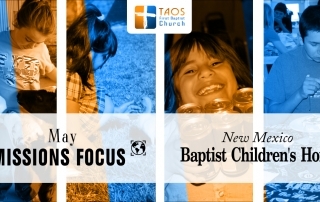 TFBC members are encouraged to give a monthly or weekly gift to support the monthly emphasis. 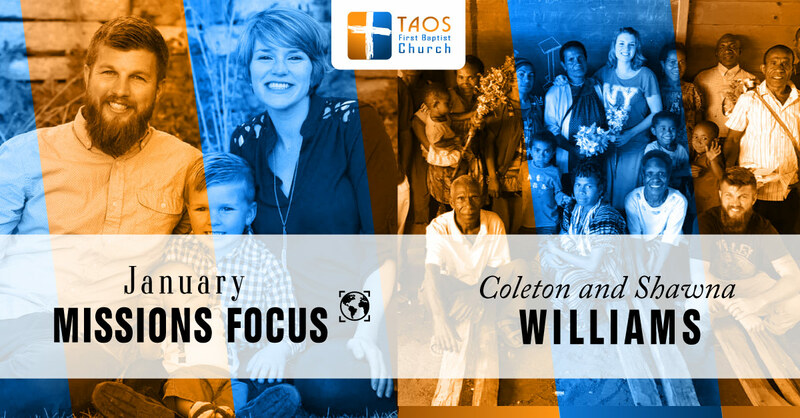 If you give $1 each week you’ve given $52 annually.